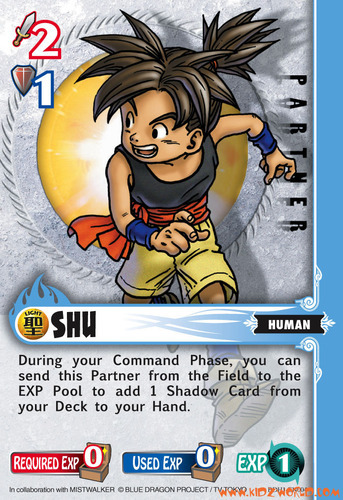 The upcoming Blue Dragon Role-Playing Card Game (RPCG) lets you join Shu and his friends in battle! 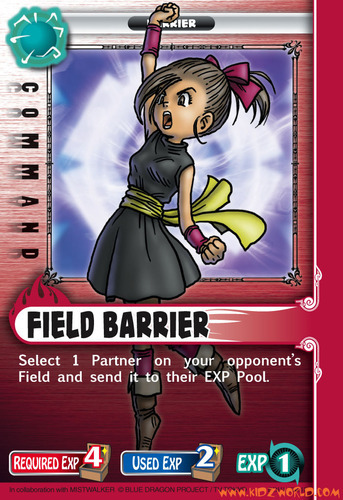 The characters from the popular anime and video game command magic shadow powers in battle along with their friends and allies. Here's a look at how the upcoming card game lets you in on the action. There are four kinds of cards in the Blue Dragon RPCG. Here's the scoop. Partner - Friends and creatures from the show that can protect you and use powers. Shadows - Your magic shadow is how you attack and, as you play, you can make it stronger! 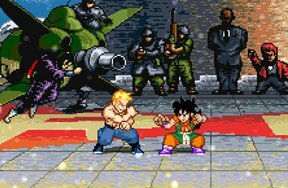 Skill - Special moves and power-ups that boost you are in combat. Command - Special moves and power-ups that you use when you aren't in combat. 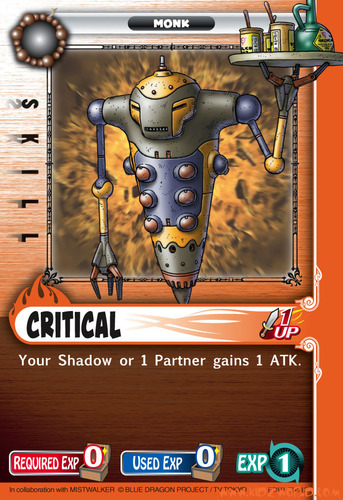 The key to this game is knocking your opponent's life points to zero by attacking with your shadow. 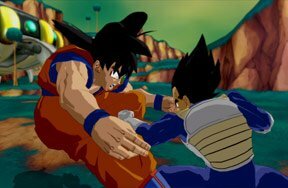 When it attacks, you subtract the defense points for your opponent's Partners - any points left over damage your opponent! As you play, you can level-up your Shadow by spending EXP, making it stronger and getting new powers. You can even change the type of Shadow you use! Here are samples of each of the four types of cards. Click 'em for a closer look at what they do. To play cards from powerful allies to stronger shadows, you need EXP. Each card you use goes into your EXP pile - giving you points you can spend to activate cards. You don't always have to spend EXP points though, lots of cards just need you to have a few points and then you can use them for free! You start with five cards, draw a card each turn and can have up to three Partners on your team. That's about it so it's a nice simple game! 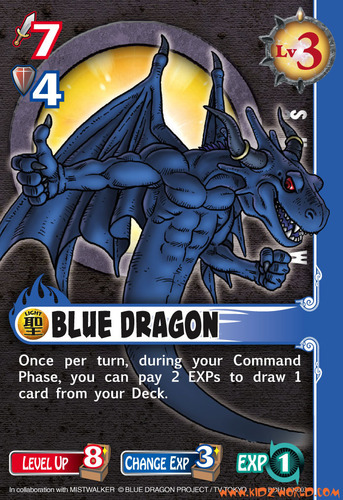 Keep your eyes on Kidzworld for a Blue Dragon card game review soon. What's the Name of Eragon's Blue Dragon?